∙ Friendly competition - all ages & all skill levels welcome! 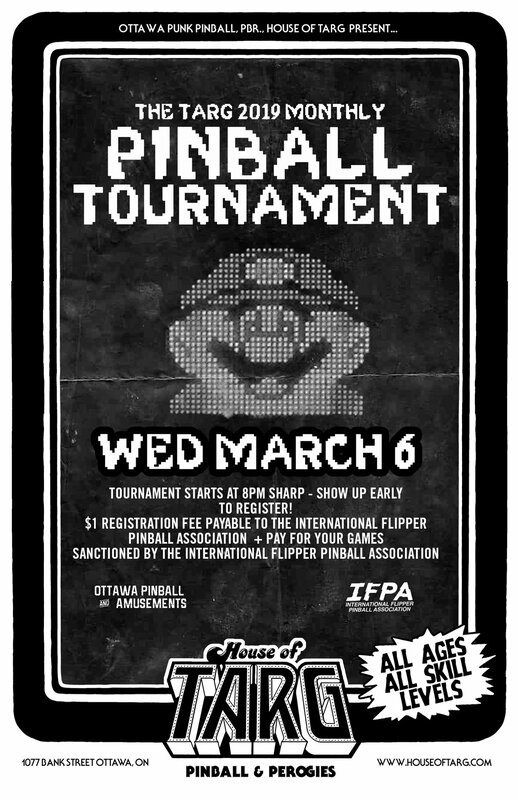 Cover: $1 registration fee payable to the International Flipper Pinball Association. Tournament Format: 'Strikes' Knockout Style. In each round, players will be randomly assigned an opponent and a pinball machine to play a match. Losing a match will get you a Strike - 3 STRIKES YER OUT! Last player standing will be crowned the winner. Number of strikes used in the tournament will be dependent on total player count/attendance (ie. may be reduced to 2 Strikes if there's a big turnout).